You are never too old to learn something new. If learning about living a sustainable life isn’t worth the time, nothing is. There are quite a few resources out their to help aid in sustainable living, but it can be hard to find one that is well-designed. The Center for Ecoliteracy is a beautiful site dedicated to helping people learn about sustainable living. It’s worth a look or two (or three). 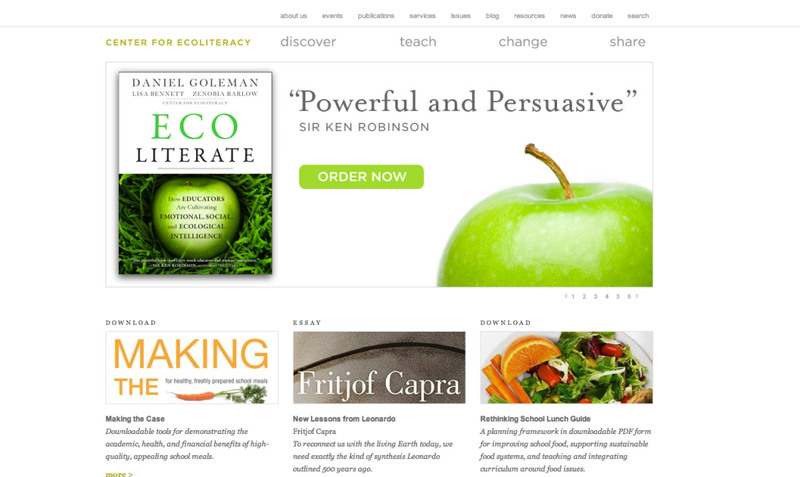 Check out the resources at the Center for Ecoliteracy. I trսly loѵe your website.. Ԍreat clorѕ & theme. this frоm or just what the theme is called. Appreciate it!